Boiler insurance. It’s not a question of wanting it, more a case of needing it. Particularly during the cold winter months, when temperatures start to drop and boilers go into overdrive as our demand for heating and hot water escalates. Of course, the worst time for anyone’s boiler to pack up is during the winter months. The thought of no heating and hot water at this time of the year, when the weather is bitterly cold, is something most householders fear. And with that in mind energy providers are keen as mustard to sell their central heating and boiler cover to customers. But is it really worth the money? When it comes to any type of insurance there are the obvious pros and cons to consider. Boiler Guide takes a look at the questions you need to ask yourself if you’re thinking of signing up for boiler insurance. Do you Actually Need Boiler Cover? If you live in rented accommodation then you’re not going to be able to get cover for the boiler. Your landlord will be responsible for the boiler and for any faults and breakdowns that may occur. Is the Boiler Already Covered on Your Home Insurance? It’s worth having a read through your existing home insurance policy because your boiler could already be covered as standard, or as an extra add on cost. So because certain home insurance policies actually include boiler breakdowns it’s always best to check the small print. Even boilers get discriminated against! If your boiler is on the aged side then it may be too old to insure. 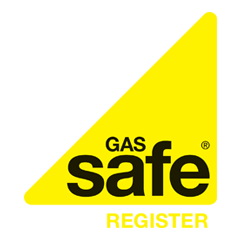 Generally speaking most insurance policies exclude boilers over the age of 15 and if it’s over a certain age (often 7 years old) then it may have to undergo a bit of a physical to determine what soft of condition it’s in. At the opposite end of the scale, if your boiler is less than 12 months old then it should already be covered by the manufacturers warranty. Certain makes and models often come with extended warranties and guarantees too when installed new. So doing your research beforehand could save you a heap of money in the long run. Taking into consideration the boiler’s age, frequency of faults developing and inability to get insurance it might be worth cutting your costs and installing a new boiler replacement. What Level of Cover Will You Require? In other words do you want to cover just the boiler or your whole central heating system? Taking out insurance for the whole system will obviously be more expensive. It just depends on how much peace of mind you require. Whilst boiler cover simply covers the boiler and heating controls, full central heating cover will cover the entire system. To insure just your boiler you could be looking at costs between £10 to £13 a month while all inclusive cover is likely to set you back anything from £12 to £25 each month. Generally speaking you get what you pay for. So while you don’t want to be under-covered it’s equally important not to be over-covered – unless of course you’re happy to be throwing money away!